These are lyrics by And You Will Know Us By The Trail Of Dead that we think are kind of repetitive. 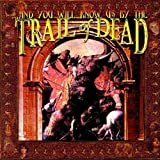 And You Will Know Us By The Trail Of Dead's, "A Perfect Teenhood"
They say it about thirty times in a row towards the end of the song. It is probably one of the best songs about rebellion, so it works.